Traumatic events can completely shatter our meaning structures or our expectations of everything and everyone so that we can feel disoriented, lost and overwhelmed. Every area of our functioning can be severely disrupted. This book is a lifeline and provides a way of making meaning of what is happening in this chaos! It talks with trauma survivors and their families as people first, rather than as patients or clients who are defined and categorised and treated by practitioners. 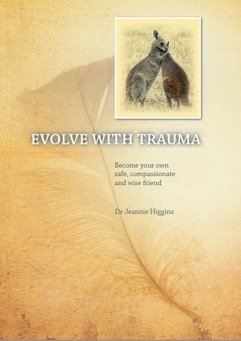 It is written by a committed and very experienced professional who demystifies the best of what is known about effectively responding to the negative impact of potentially traumatic events and invites readers to use these tragic experiences as a vehicle for the choice of profound and positive transformation of the self, the family, communities and societies. This book breaks new ground and is innovative in its genre because it responds directly to very hurt people through the questions they are actually asking, rather than the questions researchers or clinicians often want or know how to answer. Responses are not just on the basis of western notions of best evidence based practice (although the most up to date information in this area is certainly included). The responses draw from the raw lived experiences of traumatised people, from neuroscience and from both eastern and western wisdom traditions.